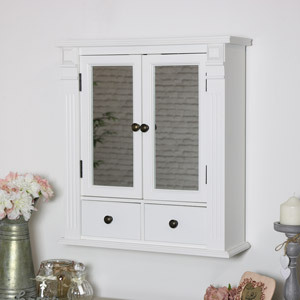 This is just one of our many beautiful mirrored wall cabinets. 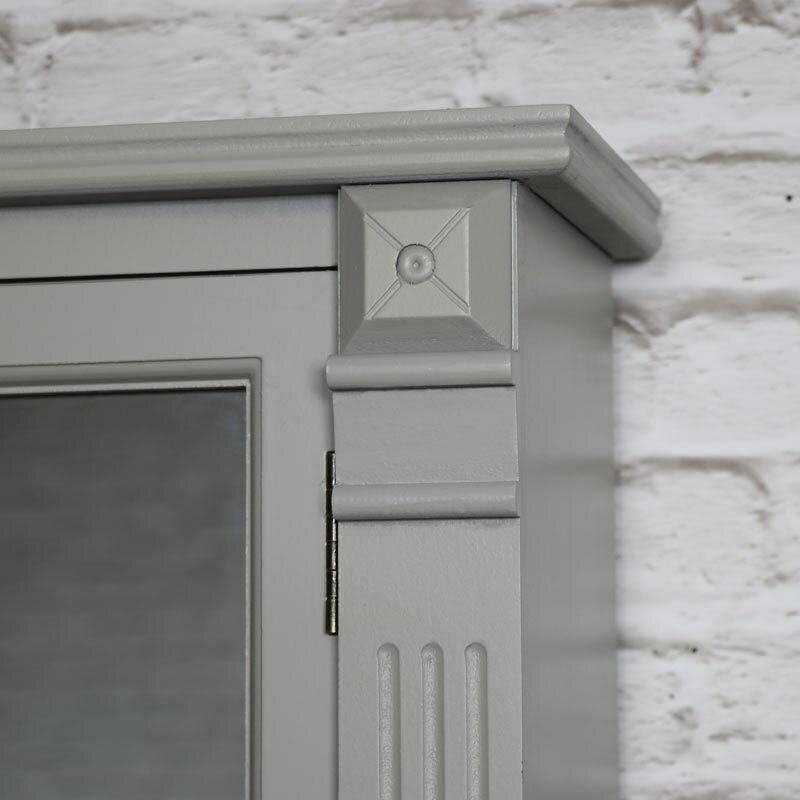 In a vintage grey colour with mirror fronted doors and carved pillar detailing on both sides. 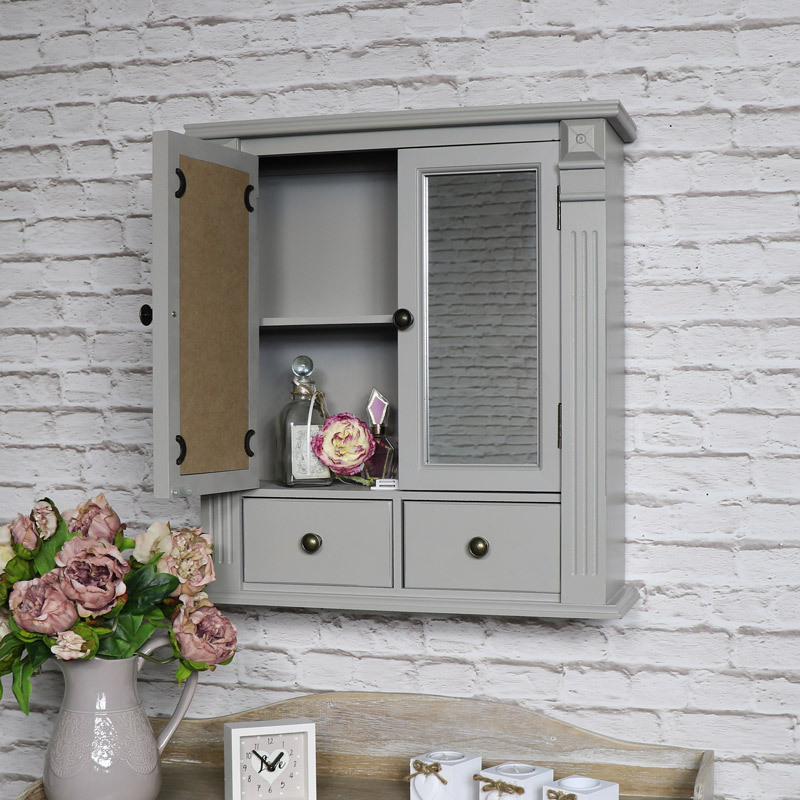 The grey finish on this cabinet will stand out against any background and add a rustic feel. 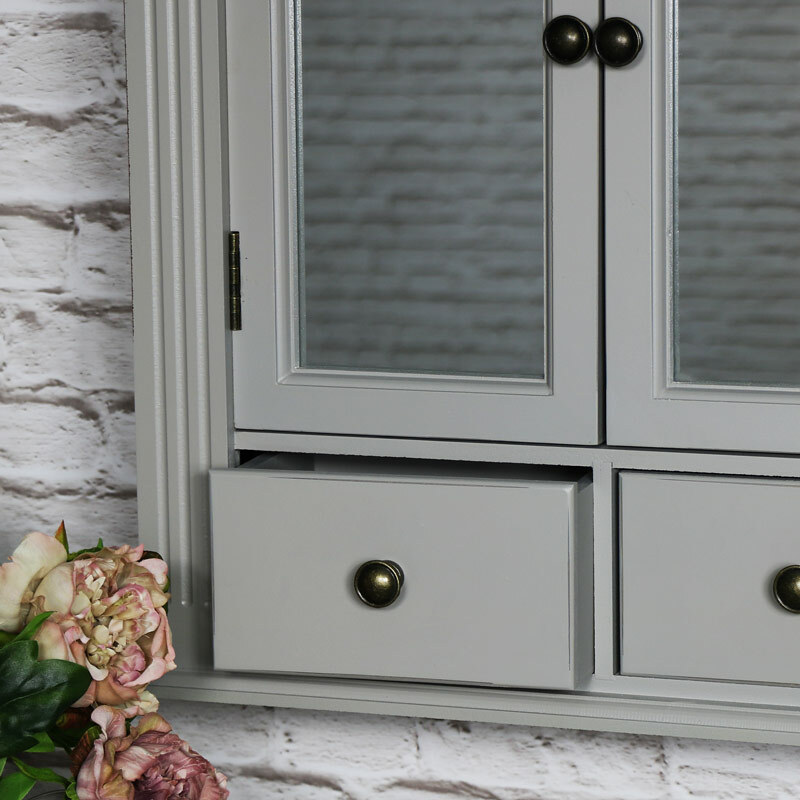 Wall mounted design with internal shelving, allows you to safely store medicines up high out of the way of little hands, and hold all your toiletries, lotions and potions. 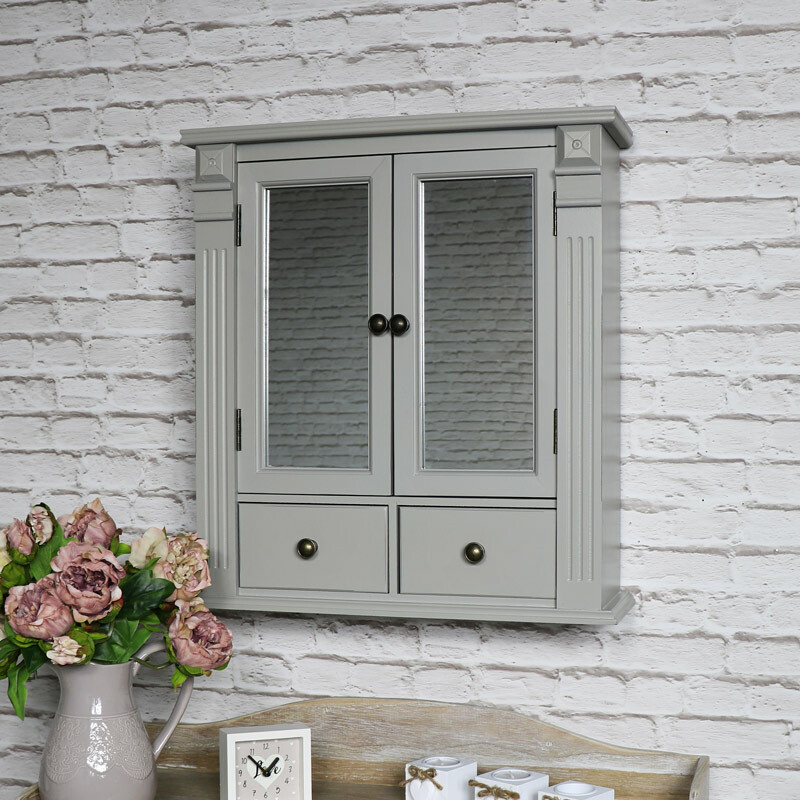 Fully assembled, so no fiddly fixing together, easily wall mounted with 2 D-ring hooks on the back. 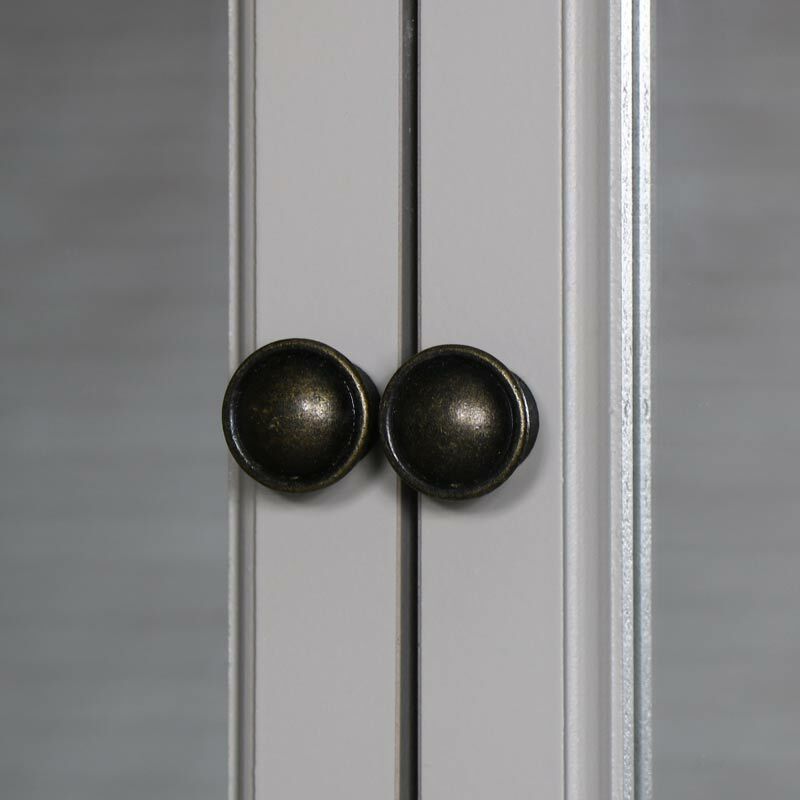 Grey painted finish with 2 mirrored doors, each with magnetic closing.